When you are planning a special event no detail matters quite as much as the flower delivery! The flowers and arrangements you choose set the tone for the event both in styling and colour scheme, so ensuring that you have a reputable florist with lots of experience is key to a successful look! Handy Flowers is proud to be your local flower shop that has the experience, selection and quality our clients are looking for. We have helped countless customers in East London create their perfect moment with hand crafted designs from our large selection of flowers and flower arrangements. Well-established, reliable and affordable, we’d love to be your go to shop for all your event planning needs! Order now! After narrowing down your list of potential florists to focus on only those who are established and thus have experience, you want to consider the balance of quality and cost. It’s easy to overspend when planning a special event, you want everything to be perfect! A worthwhile flower shop in East London will not only help you stay on budget, they’ll help you create the looks you’ve been dreaming of with cheap flowers you can actually afford! Unlike other shops, we don’t use the phrase “cheap flowers” as a synonym for “bad!” Handy Flowers has a strict standard of quality, and every flower we use must meet it! No matter how small the price tag! We're proud to offer the lowest prices locally! Another area to explore is the actual florist who will be handling your flower delivery. As is true anytime you send flowers, you want your arrangement to be a stunning memento, or marker of a special occasion. You are entrusting your money and your sentiments into their hands. This is why every single one of our East London florists is not only experienced, but highly trained. We take our job seriously. It doesn’t matter if it’s a small order, next day flower delivery, or a large, upscale event, it’s important to us because it’s important to you. Our team are happy to help create exquisite flower arrangements and are here to help should you have any questions! Compare flower delivery options between flower shops in East London and you will find out that we are the most reliable option. You want a team that can help you send flowers anytime you need it. Nothing is more stressful than an order (particularly for a time sensitive gift) arriving late, or not at all. It wastes both time and money, something we never want our clients to experience! We are happy to help you arrange for that perfect big day, a laid back get together, flowers by post, or a simple next day flower delivery to cheer up your desk that arrives on time! No matter when you need your flowers delivered, we’ll help you get them there! It really is that easy! Choosing the perfect East London flower delivery service for your event doesn’t have to be stressful! The more you know, the easier it is to see that Handy Flowers stands out from the crowd with talented, experienced florists, timely delivery options, quality flowers, low prices and exceptional service! We’ve worked hard to create a service that you can rely on time after time. We know you have options; we just want to be your favourite one! So go ahead, send flowers online or plan that big event, we’ll do the hard stuff, you just enjoy the results! Place your order now! What Should You Know About East London? 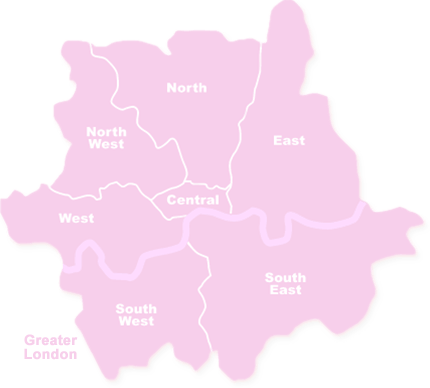 East London consists of 6 London Boroughs: Newham, Tower Hamlets, Waltham Forest, Redbridge, Barking and Dagenham and Havering, most of the Borough of Hackney and a small fringe of the City of London. Places of cultural and historical importance include Geffrye Museum, Sutton House, Museum of London Docklands, Whitechapel Art Gallery, Museum of Childhood, Ragged School Museum and Queen Elizabeth Olympic Park. East London is a popular tourist attraction due to its easy transport links and the many attractions it has to offer. Some of the areas in East London are Bow, Poplar, Plaistow, Stratford, Leytonstone, Wanstead and Manor Park.